The following is a list of shopping carts registered with USA ePay. For more information about a specific cart, click on the name of the cart for a quick summary, use the contact information to reach out to the company directly, or click the link to the company website for more in depth information. If you do not see a the cart you would like to use on this list, it does not mean that it is not compatible. It just means they have not registered with us. To check compatibility of any cart NOT featured on this list, reach out to the shopping cart provider directly. 1ShoppingCart.com provides eCommerce and eBusiness software solutions such as shopping carts and online marketing tools to small and large businesses across the world. Their products enable small to mid-size companies to create, launch and market their online business all with one simple affordable solution. They are dedicated to helping their clients grow their businesses and succeed online. 3dcart is a very user friendly ecommerce software solution and all of their great tools and features come with any level of their hosted packages. They offer a variety of hosted ecommerce solution packages to meet the needs of almost any small to medium size online businesses. Pre-installed in Version 5.0.000 and above, as well as AgoraCart Pro version 5.1.000 and above. Gateway files available for older 4.0k versions, but require manual installation by dropping in 4 files and then configuring the settings with the online store manager. AppFrontier® is creating the next frontier of business applications on the Salesforce platform. Their goal is to provide business users with powerful, affordable, and easy to use cloud applications that drive revenue and deliver operational efficiencies. Their first application is Chargent, the only 100% native payment processing and recurring billing application for Salesforce. Chargent makes it easy for anyone to process payments directly from Salesforce opportunities, cases or orders, and get an instant response from the payment gateway. If you are a Salesforce app developer and have an application that you need help taking to market, feel free to contact them. They are always looking for innovative apps that extend the capabilities of Salesforce and meet untapped demands of customers. Ashop Commerce is a world-class provider of hosted shopping cart software (SaaS), graphic design and search engine optimization. They cater toward small to medium sized businesses that are looking to build or simply start their online division of business. Ashop Commerce is a new generation of hosted shopping cart software. You'll receive a professional content management system to build your online store securely, easily and affordably anywhere in the world using only an internet connection. Anything and everything is included so you can successfully sell online. Ashop Commerce online stores can easily be managed and designed by any internet savvy business person, No experience needed! Full support via phone, online chat, email, community forum, tutorial videos, user manual and knowledgebase is available so you’ll never find yourself in a pickle. AspDotNetStorefront.com, a Division of Discovery Productions Inc., is a privately held company headquartered in Scottsdale, Arizona that provides online ASP.NET based e-commerce shopping cart systems for over 6,000 merchants and 4,000 developer partners. From company website: "Unlike other carts which charge $5,000 or more for source, our complete source is available for only $995...no, you will NEVER be stuck with a cart that cannot meet your needs, as you have FULL control over all features and code. We are among the very elite asp.net shopping carts that are fully certified by VISA/MasterCard to meet CISP/PCI PABP requirements for payment processing. Just go ask your open source cart provider what their stance is on PABP...they will most likely not even know what you are asking them...In today's environment, security is not a luxury, it is a REQUIREMENT! We don't charge ridiculous fees per product per month...those fees cost tens of thousands of dollars over the life of your storefront...why are you still considering a cart that just keeps wringing any profit out of your business, just to make them more money? Our feature list is 2nd to none...we have focused on providing the very best asp.net based feature rich e-commerce platform that is available...bar none. Stop being constrained by 'out-of-the-box' designs and templates...with AspDotNetStorefront, you have 100% control over your entire site appearance, from start to finish. Why put up an 'also ran' site brand image...when you can fully control it. Don't sacrifice on skinning technologies...see our gallery page for the very very wide range of designs possible with AspDotNetStorefront." The Avactis team was established in 2001. It has extensive experience in the implementation of e-commerce projects for large, medium, and small businesses all over the world. Over this period we implemented dozens of e-commerce projects. Based on this expertise and input from small and medium companies, they developed the Avactis shopping cart software, which allows such companies to start online business rapidly and without heavy investments. One of the major advantages of Avactis is the use of unique technologies that, unlike other shopping cart software, provides for the fast and easy integration of an online store into an existing website, thus minimizing the time-to-market for our customers and partners. Interspire is a privately owned company which develops content management, shopping cart, knowledge management and email marketing software used by more than 40,000 organizations worldwide including fortune 500 companies (Intel, Shell, GE), enterprise organizations (Virgin, Ubisoft, Monster.com), and thousands of other small/medium businesses and digital agencies. BitCart offers multi-vendor online store features that allow store owners to add variety of products from different vendors/manufacturers/whole sellers offering drop shipping. A separate admin panel for each vendor allows vendors to manage orders, shipping, and payment for their products listed in online store. The easy shopping cart admin panel allows store owners to track profit calculation & payment status for each vendor, making the store owner's life much easier. With not much effort and a lot freedom they can add more and more products categories and variations for cross selling with original items. BitCart also offers free live chat & email marketing apps packaged with its shopping cart solution with both licensed and hosted shopping cart services. With these free apps, store owners save hundreds of dollars normally spent on buying or leasing the tools to provide live chat support and send email marketing campaigns to clients. Along with these marketing solutions, BitCart offers logo design services to their ecommerce shopping cart customers and clients. bLoyal is a customer loyalty and Ecommerce solution for multi-channel businesses. bLoyal, a DBA of EVT Solutions, Inc., has been powering multi-channel businesses since 2004. For more information or a free trial, contact them by phone or visit www.bLoyal.com. Use a turnkey template or web design tool of your choice. bLoyal Loyalty SnippetsTM- Easily add cart, member signup, and loyalty functionality to any web site. BookingBug provides a feature packed booking solution that is suitable for all types of businesses; whether you take bookings by the hour, day or week, or if you run events, classes or courses, BookingBug can work for you. McMurtrey/Whitaker & Associates, Inc. was incorporated in December of 1989. Their companies' principals are Shannon McMurtrey and Bryan Whitaker. Since their founding in 1989 they have provided custom software, website design, and website automation solutions for organizations throughout North America and several foreign countries. Having tried quite a few shopping carts over the years, none are easier to use than Cart32, you have complete control over the appearance of your shopping cart. Version 4.x and up will also export to Quickbooks and comes with Access 2000 or SQL compatibility. You can not go wrong with Cart32. Trade Studios was founded around the concept of value. They, as business people, understand that small business owners do not have the time and energy to research and engage better advertising techniques. Trade Studios makes it extremely easy to get your business on the World Wide Web, for a nominal, yet valuable investment. You should expect quality work at affordable prices, and that's exactly what their clients receive. CartManager is a robust reseller based online shopping cart service. They have been providing secure shopping cart services since 1998 and were one of the first shopping carts on the web. The software used to build and manage an online store is critical to the overall success of an e-commerce venture. To be a successful e-commerce website it is necessary to provide customers with easy navigation, modern shopping cart features, a simple secure checkout process, and clear confirmation that their order has been received. CartManager will help increase conversion rates and drive secure sales volume. Behind this SEO-Cart software is a company named Cirkuit Networks. Founded in 2000, Cirkuit Networks has evolved in to a well recognized company for offering complete e-commerce solutions and web site development. Labeled as the newest and easiest to use shopping cart in our industry, SEO-Cart is a full fledged e-commerce solution for small and medium sized businesses. With fully integrated search engine optimization and marketing features, each product in your store will have a unique presence in online search engines. CommerceV3, or CV3 for short, was launched in 2001 by Blake Ellis and Nathan Focht of Savannah, GA, as a way to quickly handle the e-commerce needs of local web customers. The product quickly gained steam and was spun off into its own company. 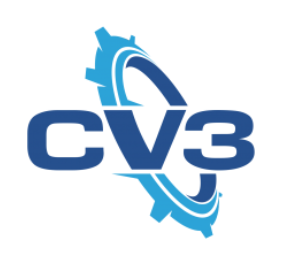 CV3 now powers hundreds of e-commerce sites across the U.S. and Canada, primarily for multi-channel merchants who require advanced integration and marketing features. Comersus is an established provider of complete shopping cart and e-commerce open source software solutions for global enterprises. Founded in 1997, Comersus has a long tradition of driving innovation in e-commerce. Comersus Cart is an ASP Cart for Access, SQL Server or MySQL with advanced taxes, Real Time UPS/USPS, WAP, advanced shipping rates, multi- language and multicurrency, stock management, encryption, customer reviews, customer wish-list, order tracking, multilevel categories, sell digital features. Free basic store and 20 optional add-ons. Real Open Source License. CoreCommerce.com is the one stop for a comprehensive e-commerce solution for companies to build, manage and grow their online stores. We also offer a variety of payment solutions for companies and charitable organizations to receive payments online. Solution: eCommerce website platform with built-in shopping cart for product sellers, hosted payments page (HPP) for acceptance of online payments for service companies. Integration Required: None - just plug in credentials into our eCommerce site. DIYSports is one of the family of eCommerce web based systems offered by Payne Media, Inc., located in Bellevue, WA. Payne Media, Inc, was founded in 1994 and incorporated in 1997. Since that time they have developed applications, developed web sites, and produced multimedia content for clients in travel, sports, software and eCommerce businesses. Adding shopping to your website is now easier than ever. eCartsoft™ is a shopping cart service, a secure ecommerce solution combining ease of use with unprecedented power. A standard website hosted anywhere and eCartsoft turn key e-commerce service is all you need. With our step-by-step guide and our free priority tech support, you can quickly and inexpensively build a secure storefront to sell your products, take orders online, process payments, and distribute digital products over the Internet today!. Real-time check and credit card processing gateway support. Just add a bit of HTML. You won't believe how easy it is, eCartsoft™ is 100% compatible with any web site development tool, including all versions of Microsoft FrontPage, Dreamweaver, Trellix, NetFusion, NetObjects html/text editors, and all other HTML development tools. NO HTML KNOWLEDGE? NO PROBLEM! All you need to know is how to fill out forms and cut & paste. That is all! Their HTML Wizard gives you all of the HTML code you need to paste into your site to start selling your products now. Experienced web masters can take full advantage of our advanced features to maximize site theme design. Ecommerce Templates was set up with the aim of providing a powerful low cost ecommerce shopping cart software solution integrating into the main HTML editors: Dreamweaver, Frontpage, Expression Web and GoLive. We offer over 40 template designs to choose from for your shopping cart, all with the same feature rich ecommerce shopping cart software behind them. But that doesn't mean you are restricted in design choices. All the downloads come with a full set of .png files for editing in Fireworks and the professional layouts were designed for flexibility and simplicity. You can also choose to design your own shopping cart from scratch using our Generic Template; simply paste the ASP or PHP include lines into your existing site, upload the files and admin section, make your database connection, and you'll be ready to go. PFS (a 3rd party) has developed a plugin that connects Ecwid with USAePay. Exposure Basketball Tournaments, founded in 2011, was based on a single tournament, the adidas Super 64 back in 2005. The founder of Exposure Basketball Tournaments ran the tournament website by keeping it updated manually. This started to become a burden each year with the number of teams increasing, and therefore improvements had to be made to the website each year. Eventually the tournament ran without his help by having score keepers at each location update game scores and having everything automated. This gave immediate information to coaches, players and fans without delay. Exposure Basketball Tournaments wants you to take advantage of our platform for your event as well. Their mission is to be a one stop shop for coaches, players, fans, and the media for up to date information on any youth basketball tournament. You can find the full list on their website below. Download Fortune3's online shopping cart wizard today and try it free for 30 days. Packed with thousands of useful features, you'll be ready to take orders online and process payments in real-time for both retail (B2C) and wholesale (B2B) Website storefronts. The Fortune3 online store wizard will allow you to build websites for businesses of all sizes without any HTML knowledge or need for an FTP client. For those familiar with HTML and Graphic Design, you will also be able to use programs such as Adobe Dreamweaver, Photoshop, and Fireworks. Offer your customers real time shipping calculations and make shipping simple by printing your Fedex, DHL, and UPS labels directly from your administrative site. Have a preferred accounting software you'd like to integrate with your Fortune3 shopping cart? No Problem! Import and export directly to Quickbooks, Peachtree, and Sage Accpac accounting software. These features plus many others are included in all our available ecommerce packages. Join the thousands of merchants from over 30 countries around the world who have built their E-Commerce websites with FORTUNE3 - the most advanced and professional store builder available. FoxyCart's raison d'être is simple: To provide web professionals with a powerful, flexible, secure, and enjoyable e-commerce platform with which to deliver more profitable e-commerce sites to their merchant clients. A unique one-page checkout with automatic detection of a new or returning customer. Freshbamboo is one of the family of eCommerce web based systems offered by Payne Media, Inc., located in Bellevue, WA. Payne Media, Inc, was founded in 1994 and incorporated in 1997. Since that time we have developed applications, web sites and produced multimedia content for clients in travel, sports, software and eCommerce businesses. Founded in 2004, Infusionsoft began by building custom software for small businesses. Over time, we recognized a pattern in our customers’ needs; they were using multiple systems to manage their sales and marketing – and none of them worked together. So we came up with a solution built exclusively to help small businesses conquer the chaos; a Web-based system that combines intelligent automation with powerful CRM, email marketing, e-commerce and social media tools. E-Solved.com is a one-stop e-commerce solutions provider to the small and medium-sized businesses both locally and internationally. Their services range from basic domain registration, web hosting and web designing to developing comprehensive e-commerce solutions to enable their customers to reach beyond their present market area. InstanteStore is a customizable, online store builder that includes web space, an integrated shopping cart, inventory control, affiliate program manager, advertisement tracking, credit card processing, customer database, site visitor analysis, newsletter broadcasting, and downloadable product delivery. http://www.interspire.com/shoppingcart/- Because Interspire is now run by Big Commerce, this link will take you to the Big Commerce home page. Contains functionality that is being used by 1000′s of companies world wide. Includes a sophisticated and powerful role based administration application. KonaKart is partly Open Source and uses open standards. Supports the JSR 168 Portlet specification and can be run in your portal server. An innovative solution built by marketers, for marketers, that keeps simplicity, functionality, and cost-effectiveness as high priorities in this fast paced industry that keeps evolving day by day. With over 12 years of combined experience managing direct response campaigns, at Lime Light CRM they have the capability to offer their clients with coaching and consulting as additional services to the CRM, helping you elaborate customized solutions that are unique to your needs and will contribute to take your business to the next level. An experienced player in the eCommerce industry that has been leveraging the power of Open Source technology to help online merchants fulfill their business goals at a fraction of the cost and time of proprietary eCommerce solutions since 2001. Their clients are a new generation of store owners eager to materialize on their creative ideas and gain an edge in their industry. For years they heard "no". They turn to Magneto for their expertise, guidance, level of execution and a passion matching theirs. Mal's e-Commerce is a remotely hosted shopping cart application. They help people sell things on their website and make it easy to hook into third-party payment processors. The world's favorite FREE shopping cart service! They make it simple to add a shopping cart to your website. Escape from the limitations of traditional store builder software, just add Buy Now buttons to your existing product pages and start taking orders straight away. Host Depot, Inc. is among the most experienced hosting service organizations, serving both domestic and international markets. They are strongly committed to bringing a personal level of customer service to each of our clients. Their Merchant Wizard™ shopping cart combines the catalog and ordering process into an easy-to-use interface through which your customers and prospects can easily select merchandise, review their selections and make their purchases. Powered by Merchant Wizard, their fully customizable shopping cart solution that supports an unlimited number of products. Merchant Wizard is an easy-to-use, yet powerful shopping cart system that makes creating your online storefront simple. Merchant Wizard stores your product and order information in your SQL Server database for maximum reliability, scalability and fast response times. The Small Business Authority specializes in end-to-end Ecommerce services, and can help your business increase sales, reduce costs, and minimize risk on every facet of your online needs. The Newtek Cart is one of the most powerful, easy-to-use PHP shopping cart applications and website builders around. With our simple, one-click installation, your store can be up in minutes. Better yet, it's fully compatible with all major payment methods, and has a USAePay module pre-installed. OrderMotion is a Direct-to-Consumer (D2C) Campaign and Order Management Platform company that serves the unique needs of Direct Response and eCommerce businesses with Web-based technology (SaaS). Because they integrate with eCommerce Websites as well as fulfillment warehouses, call centers, customer service centers, payment processors and media agencies, they act as a neutral hub for real-time data consolidation. Marketers can accurately track, measure, and analyze consumer purchases from acquisition through retention and then implement timely and effective revenue-generating strategies. OrderMotion is a Certified PCI Level One Service Provider and ideally suited for complex multi-pay and continuity order processing. Built for restaurant owners who want to accept orders online, Orders2me is an online ordering platform that allows customers to place orders from any device. Unlike with GrubHub, Seamless, and Eat24 you will have full control over your online system without having to pay the outrageous fees. Orders2me finally gives you, the owner, an online distribution strategy with all the features you need to grow your business. osCommerce is an online shop e-commerce solution that offers a wide range of out-of-the-box features that allows online stores to be setup fairly quickly with ease, and is available for free as an Open Source based solution released under the GNU General Public License. osCommerce was started in March 2000 and has since matured to a solution that is currently powering 12,508 registered live shops around the world. Today, osCommerce has been taken to the next level, moving towards an e-commerce framework solution that not only remains easy to setup and maintain, but also makes it easier for store administrators to present their stores to their customers with their own unique requirements. The success of osCommerce is secured by a great and active community where members help one another out and participate in development issues reflecting upon the current state of the project. You are more than welcome to contribute to the success of osCommerce by helping out in the realization of the project, by participating in the forums, by donating to the team developers and sponsoring the project, or just by spreading the word! osCommerce Online Merchant is a complete online store solution that contains both a catalog front end and an administration tool backend which can be easily installed and configured over a web-based installation procedure. USAePay is available as a drop in module. PDG Software offers comprehensive ecommerce and storefront solutions for businesses of all sizes. PDG Software offers lifetime licenses for their software applications for as little as $399.00, with NO MONTHLY FEES! PDG's products offer compatibility with a wide range of additional services including QuickBooks, QuickBooks Point of Sale, UPS (automated rates, labels, and tracking), USPS, DHL, PayPal, and many others. The software can easily be implemented into an existing site via simple HTML, or you can use the software to dynamically build your entire website. With PDG, you are able to choose your own hosting provider, providing you a simple way to migrate your webstore as your business grows and your needs are increased. Take advantage of their free, fully-functional 30-day trial that includes installation and toll-free technical support. Pinnacle Cart is an extremely powerful shopping cart and website builder application. Built from a marketing perspective, our PHP shopping cart software is designed to increase traffic, drive sales, and increase the average sale amount. Pinnacle Cart is the clear choice for serious merchants focused on rapidly and cost effectively deploying, managing and growing a successful web-based business. Presto-Changeo offers Prestashop modules of the highest quality. All of their modules have been developed internally by our team and include our dedicated support. Want more from your online business? Their experienced development and design team will create a custom Prestashop solution tailored to your specific needs. Visit their portfolio to see past work, then contact PrestaShop for a free consultation! Their mission is to help clients realize their full potential in the world of ecommerce. Together they succeed by implementing technologies that allow online stores to maximize efforts while minimizing production and advertising costs. SecureCart is a part of a very unique e-commerce solution. Imagine a system that allows you to have a primary site and any number of secondary web sites whereby the cart will switch identity unique to each individual site. All of your orders are viewed in one location, while each customer gets an invoice matching any of your sites, including links and email addresses. SecureCart is a service, not something you have to install and configure. Custom work is most always free of charge. In 2008, SimpleTix eTicketing/Event Registration was founded to bring a professional-grade ticketing application to venues that do not have the time or budget to pay for custom e-Ticketing software. Before SimpleTix eTicketing/Event Registration, venues and event promoters were either stuck with cookie cutter e-tickets service providers who charged outrageous fees or were forced to spend thousands of dollars to develop custom e-Ticketing software to fit their business. What SimpleTix eTicketing/Event Registration provides is an easily customizable, personalized ticketing website for venues without charging any per ticket fees. SmartCart Enterprise is an all-in-one ecommerce shopping cart solution and web store builder. The Enterprise provides everything needed to easily manage a successful online business. Some of the features of the web-based ecommerce software includes: Online Store Builder, Ecommerce Hosting, Secure Ordering System, Shopping Cart Button Maker, Inventory Tracking, Affiliate Management, Digital Download Sales, Retail and Wholesale Catalog Access, QuickBooks Integration, Coupon Manager, Product Rating and Reviews, Froogle / Google Base Feeds and more. SmartCart is the best ecommerce hosting solution for web developers and non-technical users alike. SmartCart provides a scalable and customizable ebusiness service to satisfy the needs of small, medium and large-scale business systems. Development of standardized software solutions for electronic commerce, tailored to small and mid-sized companies. SparkPay revolutionizes the way e-commerce business is conducted with many industry firsts such as multiple storefront management, One-Page Checkout, Facebook Store and a themeable mobile store. Squirrelcart started from a need for an easily customizable shopping cart for a client of ours. They tried many shopping cart systems, but could not find one that had the features they needed and the ability to FULLY customize the look, feel, and functionality. It was then that Squirrelcart decided that in order to get the number of quality features we were looking for, we would be better off designing our own cart. Squirrelcart is a PHP / MySQL e-commerce system. It is a fully customizable, robust shopping cart, designed with the advanced developer and web novice in mind.If you are a web novice, you will appreciate its ease of use, and the fact that Squirrelcart will generate the HTML for all of your store's pages based on the built in templates provided. If you have a strong knowledge of HTML, you will appreciate the ability to make Squirrelcart look and work the way YOU want it to. Tehy have provided the ability to move around all of its components, completely change the look, and make it fit your specific needs. SunShop shopping cart is our turnkey, search engine friendly shopping cart system. A complete ecommerce solution packed with and extensive feature list. SunShop offers all of the standard features you would find in any off the shelf shopping cart software plus much more. What makes SunShop shopping cart stand above the rest is the ease of use and those few extra features that we have included after years of feedback and requests from their clients. UltraCart is the premiere hosted shopping cart and e-commerce platform. In continuous development for over 12 years, the UltraCart platform provides you with state of the art tools to manage every aspect of your e-commerce business. Much more than simple order taking, UltraCart integrates with your entire e-commerce business, including shopping cart, payment processing, marketing & affiliate management, shipping systems, product fulfillment, and accounting systems. UltraCart is the most powerful and flexible online commerce system available today. UltraCart easily hosts very large stores with it's Dynamic Catalog and powerful Marketing Tools. HTTPS, XML and API calls provide real-time interaction. Vireo Ecommerce is the perfect solution, that can be ready to take orders in as little as a week, for folks that don’t have the time to do everything themselves. If you need a solution that gives you the ability to manage and add pages, categories and products easily to your website; manage orders and inventory; and do it all with a mobile and search engine friendly solution, Vireo Ecommerce is the answer and is backed by a company that has been around for 22 years. After releasing several software versions to provide the latest in innovative features, they have now grown to a team of over 150 "Volusioneers" between the two offices in Austin, TX and Simi Valley, CA. Their client base has also grown exponentially - in 2009, online storeowners using our ecommerce solution processed over $2 billion in transactions. Despite these astounding numbers, Kevin and Clay's leadership reinforces our mission to create simple and innovative experiences that enable our merchants to succeed online. Company has been in business since 1979 doing programming and consultant to private and government organizations. VP-ASP Shopping Cart is a comprehensive shopping solution now in use in over 70 countries. It has hundreds of configurable features and has flexibility for the most complex shops and quick install for the simplest shops. It can be used with any language and any currency. Windows/Unix versions. Full open ASP source. Web Services Corp. are an Application Service Provider that offers affordable packaged and custom Shopping Carts, Electronic Content Delivery, Membership Software, Database Design, and Wireless Applications. Our products and services are used by thousands of clients around the globe from traditional small businesses to large corporations. Adding a shopping cart to your website is now easier than ever. The NMS Deluxe Shopping Cart System is a shopping cart solution that easily integrates with your new or existing website. When integration is complete your website and shopping cart software are as one. If your looking for a total ecommerce shopping cart system, look no further! The NMS Deluxe Shopping Cart System integrates with most merchant gateways including USAePay. For clients that charge credit cards offline the NMS Deluxe Shopping Cart system has a built in Secure and password protected Order Pick Up Area where orders can be downloaded and processed offline. Shop-Script is designed for everyone who wants to sell online with their own online store. Create your own online store with Shop-Script: choose design, add products, start getting new sales! Shop-Script is turnkey shopping cart platform for building ecommerce websites. Shop-Script shopping cart software is written in PHP/MySQL and comes with fully open source code. Easy to install and customize. At HAVEN INTERNET SERVICES they start with the assumption that customer success is their success. HAVEN INTERNET SERVICES is your technical partner. They provide you with the technical resources at an affordable cost which allows you to focus on your business without the technical headaches and overhead. At HAVEN INTERNET SERVICES they gain customer loyalty the old fashioned way- they earn it. They know that reputation in the Information Age means everything, and that the only way to achieve success is by taking care of their customers and giving them every advantage that the technology will allow. HAVEN INTERNET SERVICES customers have their word that they will be there to assist them every step of the way as they enter this new and exciting era. They look forward to hearing from you soon and hope that you will make us part of your team by including us in your overall business plan. WebCreatorPlus and Haven Internet Services can be located through its web sites – WebCreatorPlus.com and HavenInternet.com e-Commerce Toolkit: webcreatorplus ecommerce system e-Commerce Toolkit Information: The WebCreatorPlus® eCOMMERCE SYSTEM is an AWESOME, Feature-Rich Web Site and shopping cart. It is PERFECT for any size business. Their WebCreatorPlus® BUSINESS CREATOR® eCOMMERCE SYSTEM INCLUDES a Custom Manager’s Console for complete web site management and product editing control, Point-N-Click Product Editing, eMail order notification and so much more! Includes professionally designed industry-specific templates, use your own or have one designed. This cart is completely customizable. Need a special feature for your online store? Their WebCreatorPlus® CREATOR eCOMMERCE SYSTEM is completely customizable. This will be the last shopping cart you will ever need! WebCreators create powerful, flexible, robust and easy to use database driven ecommerce and web site solutions that are built and managed using any web browser.They provide you with all of the tools you need to run a successful online business including marketing your site, accepting real time credit card transactions, and managing the overall look and feel of your web site. Their Cold Fusion and MySQL powered web sites give you the ability to quickly view and manage a variety of fundamental and advanced options including product data, shipping & tax, pages & page content, site promotion & email marketing tools, affiliate & feedback forms, site statistics etc. All available with online, email and phone support. WHMCS is a privately owned company based in the UK. They are focused on providing a stable and reliable billing system with a strong focus on development from users feedback. Their primary aim is to fill the gap in the billing system market for a single integrated system that can handle everything from client signup to support. WHMCS is a powerful integrated client management, billing & support system. It provides everything you need to manage your clients. Packed with features while remaining easy to use, they have tried to highlight what they feel are the most important features below. Don't just assume because you don't see something it's not supported - contact them! WooCommerce has been developed with one thing in mind: helping you to sell anything online. They’ve developed an incredibly easy-to-use and flexible templating engine that allows you to bend & break WooCommerce as you see fit. Their templating documentation is ever-expanding and they’ve made it as easy as possible for you to build your own design with WooCommerce’s extensive template tags. Designing & developing e-commerce websites isn’t an easy task, but with WooCommerce they’ve made this as easy as possible. Their themes allows you to sell more and improve the return on your online endeavours. They believe that there most definitely is best practice guidelines for marketing & selling online and their WooCommerce themes have been developed with that in mind. They deliver top quality, cutting edge WordPress themes and superior customer support. The WP e-Commerce shopping cart plugin for WordPress is an elegant, easy-to-use, fully-featured shopping cart application suitable for charging fees or selling your products or services online. Their HTML form builder helps you create contact forms, online surveys, and invitations so you can collect the data, registrations and online payments you need without writing a single line of code. Established in 1998, Qualiteam Software is now one of the worlds leading providers of e-Commerce software solutions. Software created by Qualiteam powers tens of thousands of online stores and e-Commerce websites in 111 countries all over the world. Qualiteam is focused on delivering products that create a solid infrastructure for e-business and have both B2C and B2B value. Ongoing support, integration services and consultations are provided to make sure customers derive maximum benefit when using Qualiteam products. Qualiteam Software is headquartered in Limassol, Cyprus, with partner company offices in Ulyanovsk, Russia. X-Cart can be used both as a ready out-of-the-box shopping cart solution and as a powerful shopping cart engine for a customized web shop. X-Cart is based on Smarty PHP templates engine and MySQL database backend. X-Cart features online credit card processing, product options, inventory tracking, real-time shipment tracking, orders history, tax and shipping rates calculation, powerful admin backoffice, built-in web-based templates editor, database backup/restore, optional multi-vendor/mall operation mode and more. X-Cart is optimized for smooth performance and clear look. Zen Cart™ truly is the art of e-commerce; a free, user-friendly, open source shopping cart system. The software is being developed by group of like-minded shop owners, programmers, designers, and consultants that think e-commerce could be and should be done differently. Some "solutions" seem to be complicated programming exercises instead of responding to users' needs, Zen Cart™ puts the merchant's and shopper's requirements first. Similarly, other programs are nearly impossible to install and use without an IT degree, Zen Cart™ can be installed and set-up by anyone with the most basic computer skills. Others are so expensive ... not Zen Cart™, it's FREE! Zen Cart™ will deliver the ultimate online shopping experience to your customers. Navigating through your merchandise offerings is a breeze with Zen Cart™, the program provides several "Spotlight" lists in addition to the traditional category to product links. Once a product is added to the shopping cart, secure checkout is a simple 3-step process. After providing the billing information, your customer chooses the shipping method. (multiple shipping methods including real-time internet shipping quotes are built-in) Next, a payment type is chosen from one of the popular payment modules. USA ePay is available as a drop in module, easy to add and easy to configure. Last, the customer reviews the order, shipping and payment choices, and confirms the order. You are immediately notified of the order and your customer automatically receives an e-mail confirmation.